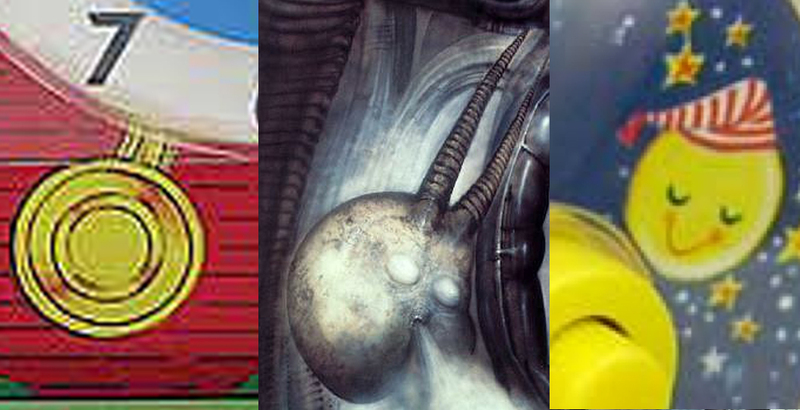 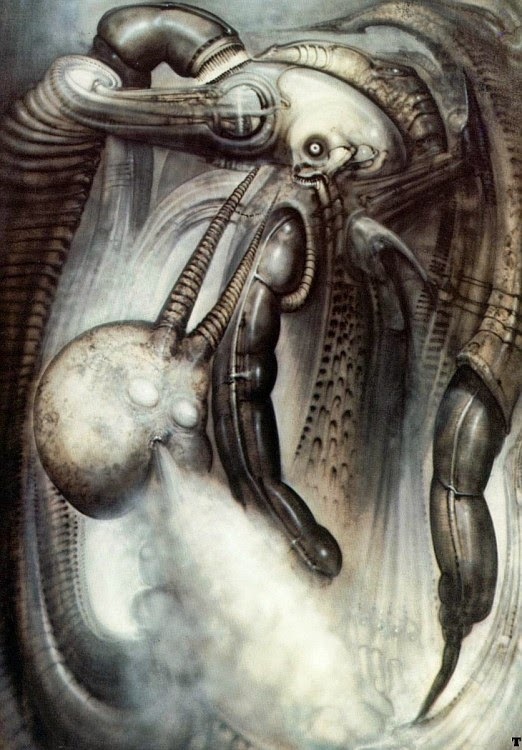 Alien Explorations: HR Giger's Mordor V references Fisher Price Music Box Teaching Clock? 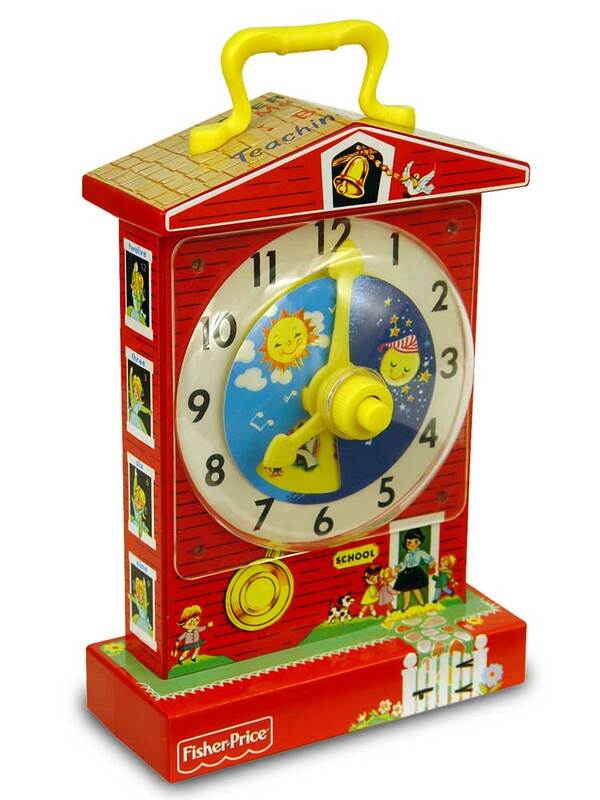 Fisher Price Music Box Teaching Clock? 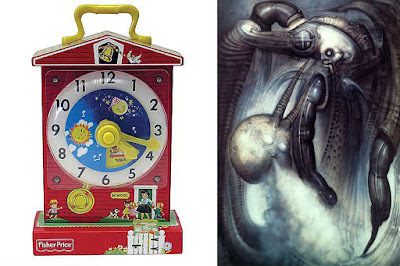 Having another intuitive moment of realisation about a Fisher-Price toy that H R Giger would have referenced in his artwork, and so this may have crept into 1975-1976 paintings Mordor IV to VII and XII contributing to a sense of horology. 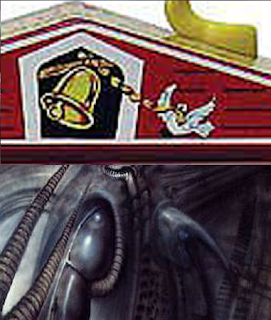 Following this idea, a suggestion of a wing at the left of that is what remains of the dove on the clock transforms into a flipper of the Nommo. 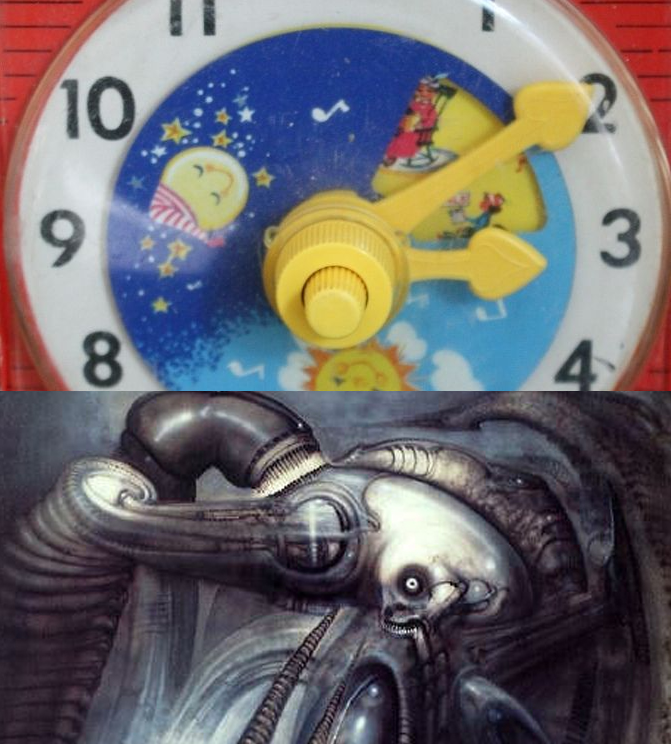 The bell image at the top of the clock becomes the phallic tip of the central black sausage coming out of an opening (which might also be considered a clock hand again), and to the right is a suggestion of a wing. The clock hand with the pack of card spade shaped tips become moved to the top and transformed into the tentacles of a squid. Skull from James Gleeson's "Betrothal of two classic edifices"